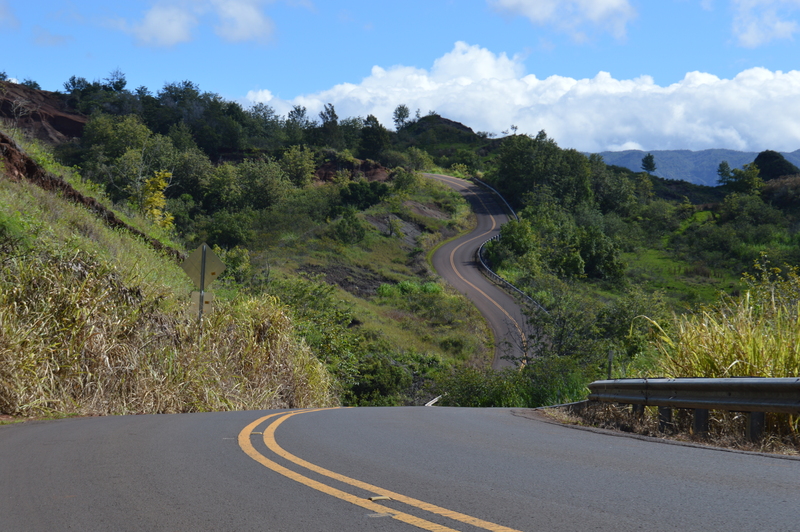 I got my license in the rolling hills of West Virginia, so Kauai’s narrow, winding roads don’t freak me out. 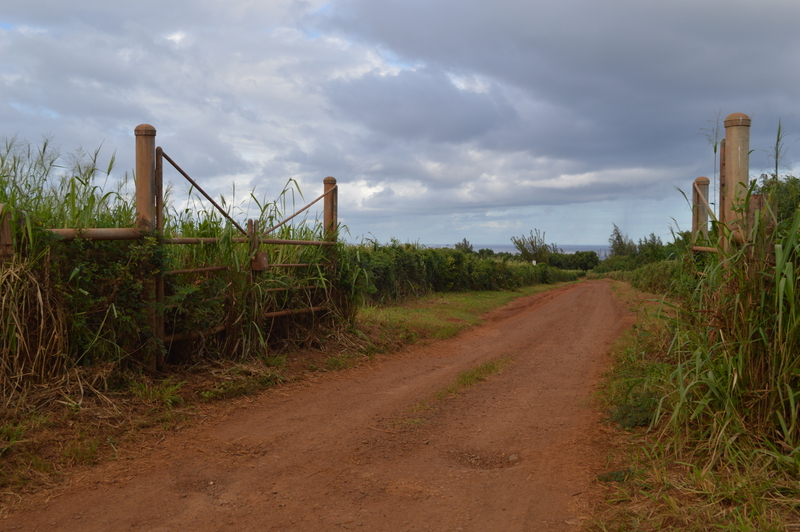 Still, driving on the Garden Isle is different from the mainland, so here are a few things to keep in mind before you get behind the wheel during your visit to paradise. Kauai only has two major highways, Kamualii (Rt 50) and Kuhio (Rt 56), which cover about two-thirds of the island, with no automobile access to the rugged Napali Coast. Roadways are mostly single lane each direction, with little to no shoulder, minimal lighting and seemingly arbitrary repairs. The maximum speed limit is 50 MPH, with the average posted limit much lower, so prepare to get into vacation mode and slow down, or face hefty fines. Aloha Driving: The majority of Kauai drivers are super polite and more kickback than those on the mainland. There are exceptions, of course, but most local motorists yield to pedestrians, let you merge into traffic, and even flash you a shaka when you yield to them at one-way bridges. Honking your horn as a show of impatience is highly frowned upon and will mark you as a rude tourist who pisses off the locals, so only use your horn when there’s a an actual emergency. One-Way Bridge Etiquette: Kauai has more than a half-dozen one-way bridges on the north shore betweenPrinceville and Ke’e Beach. Local courtesy is to allow 5 to 7 cars to cross before switching directions. 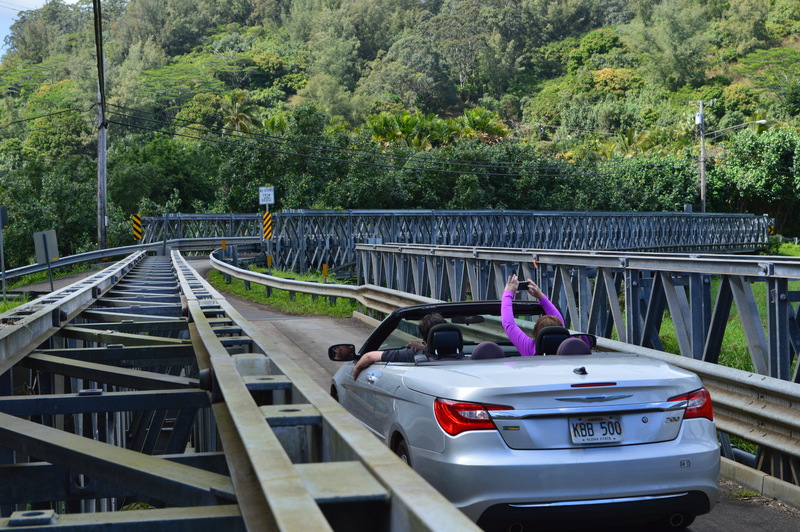 The Hanalei Bridge is the busiest, so enjoy the amazing view of the taro fields and surrounding mountains while you wait your turn. 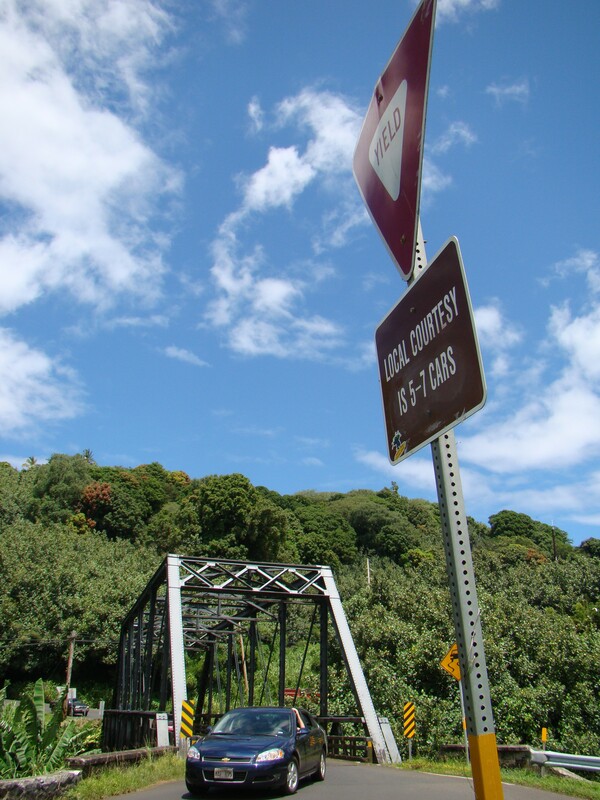 The double bridge over the Wainiha River can be tricky because you have to make sure traffic has cleared both bridges before you start to cross. I’ve actually seen cars forced to back-up because drivers started to cross prematurely and came bumper-to-bumper with oncoming traffic. Erratic Rain: Kauai is a tropical island so it can be sunny one moment and pouring rain the next. Visiting motorists need to adjust accordingly, anticipating the potential for reduced visibility,slick roads, and mudslides. 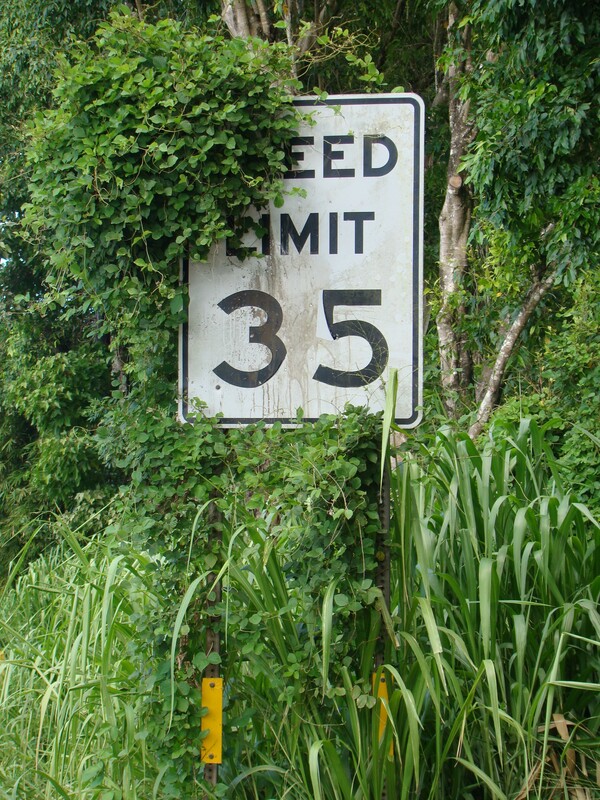 Plentiful showers also help tropical vegetation smother street signs and speed limit signs making them difficult to see. 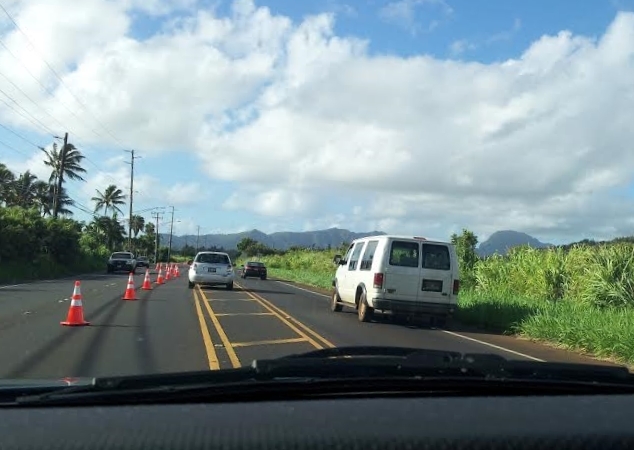 Contraflow Confusion: Kauai uses a contraflow lane reversal between Kapa’a and Lihue to help reduce congestion during the morning and afternoon rush hours. Here’s how it works: Traffic cones are placed in the middle of Kuhio Highway so the center lane can be used as a second southbound lane in the AM and a second northbound lane in the PM. Driving on the wrong side of the road rattles my nerves because a confused motorist could easily cross the flimsy divider and cause a head-on collision, so I avoid the contraflow traffic zone whenever possible. Random Repairs: The main highway is actually well maintained considering the beating the asphalt takes during stormy weather. The pavement on side roads and private roads is another matter. 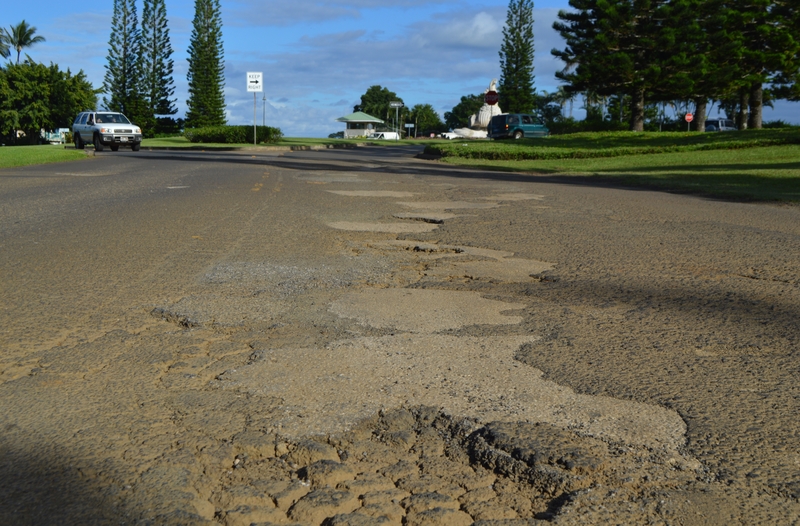 Ironically, some of the worst road maintenance I’ve seen on Kauai is in the upscale community of Princeville. Axle-challenging, tire-munching potholes are blamed on an ongoing dispute between developer, Steve Stone, and the homeowner’s association over who’s responsible for maintenance and upkeep. Rental Car Rules: Be aware that the fine print on your rental car contract prohibits driving on unpaved roads like the ones used to access Larsen’s, Secret and Polihale Beaches. This means you’ll be billed for towing costs and repairs if you break down, or have an accident, even if you buy their supplemental insurance. GPS Needed or Not? 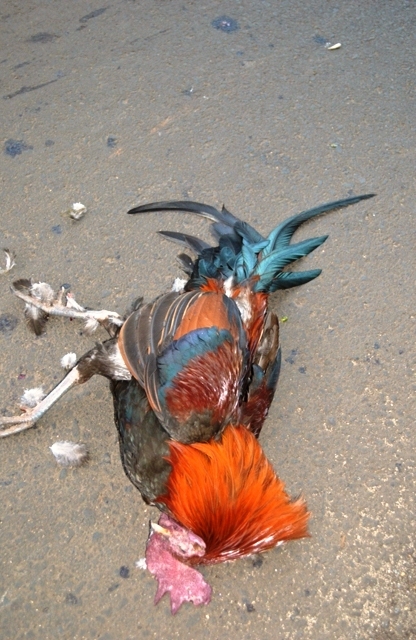 It’s personal preference, but not necessary on a small island like Kauai. If you do use a GPS device, the audible navigation tends to mangle the Hawaiian language, making it a challenge to match the mispronounced words with street signs. I sometimes use Google maps on my cell phone, but there are areas on Kauai where the lack of service means maps won’t load. I recommend a printed map or guidebook for visitors that uses mile markers to help you locate special sites and hidden beaches. My personal favorite is The Ultimate Kauai Guidebook, available online or at the Costco in Lihue.